An afternoon of Local Films at the Crown is a fundraiser to support our two not-for-profit film organizations in Grande Prairie, the Reel Shorts Film Festival and PRIMAA. 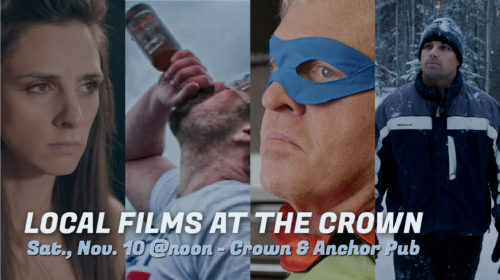 Come enjoy a buffet lunch followed by the screening of several locally made short films, two of which have segments that were filmed in the Crown! Tickets available online and at the door (cash only). Limited seats available.